Hayball is delighted to announce the appointment of David Tordoff as a Director of the practice with equity in the company nationally. David joined the practice in 2015 to establish Hayball’s new Sydney studio and has since firmly established the practice in Sydney’s architectural landscape. Initially working independently David has grown the team into a thriving studio of 35 architects and support staff. The Sydney team currently have a number of projects in development across the public, education, workplace and residential sectors, they have also completed several prototype spaces, providing iterative feedback on our design work and continue championing Hayball’s ethos of research-based design. David has solidified Hayball’s profile within the local design industry and helped to cement an enviable position for the practice. He capably combines an agile business mind with exemplary attention to detail and the ability to blend quality, creative design with commercial imperatives. He is a dynamic force in the global architecture industry, boasting a number of AIA and Industry awards to his name. 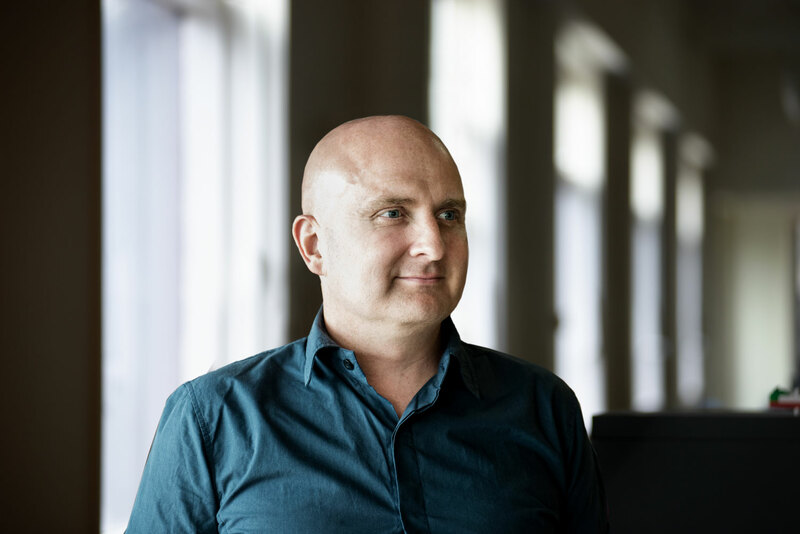 Hayball Managing Director, Tom Jordan, has recognised the contribution that David’s depth of architectural expertise and strong interpersonal skills have had in growing Hayball’s Sydney practice. This promotion signals a healthy and considered growth within the practice. Hayball, which recently ticked over the 200+ staff mark, is a real player in the design industry throughout Australasia, with permanent offices in Melbourne, Sydney and Brisbane, and built projects in all states as well as New Zealand and across Asia. David has relished the challenges his role has entailed so far and is excited to steer the continued growth of the Hayball team and brand in Sydney. Alongside Fiona Young, Sydney Studio Director, David is supporting the practice in making its mark on the Sydney architectural landscape by actively leading a broader conversation on design within the industry and wider community through initiatives such as their popular monthly GLEAM forums. “I’m thrilled to be working amongst some of the most creative, design-oriented minds in the architecture space, we have an incredible team at Hayball both here in NSW and nationally and I look forward to continuing to shape the business with them as it evolves and grows in Sydney,” he said. “The Sydney market continues to hold powerful potential for Hayball’s key strengths, particularly our focus on placemaking and the public realm. Combined with our ongoing research into the residential market and our detailed understanding of economic construction techniques, we are ideally positioned to offer a higher value service to our clients. There’s also our capability to transfer our knowledge between the residential and education sectors, with David playing a key role in Hayball’s strategic growth in these markets.” Says Jordan. Hayball is well known for being critically engaged in research projects and placemaking, as well as creating crafted buildings that invariably offer the highest levels of amenity, whether it be in the education sphere or mixed-use sector. Its Sydney studio continues to uphold and enhance this expertise, working in tandem with Melbourne and Brisbane studios to draw on a depth of demonstrated capabilities.